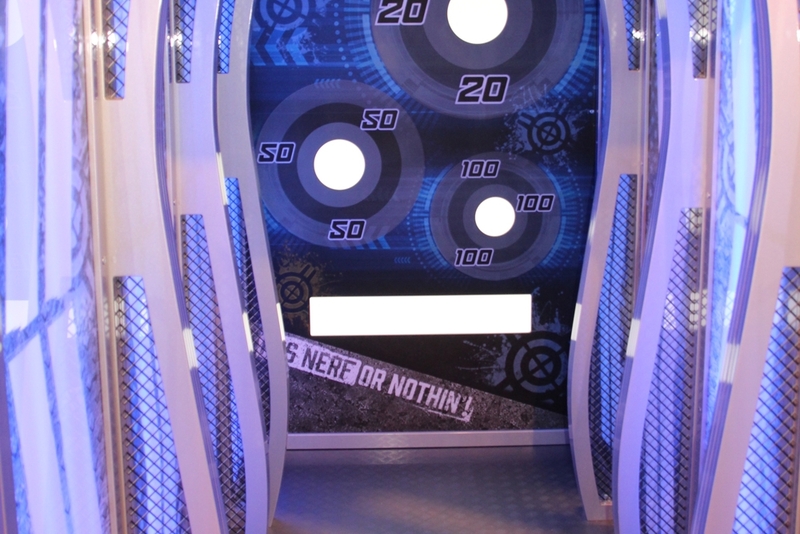 For Hasbro, we created a highly interactive feature for the store to provide retailtainment of the highest echelons. A fully immersive target range with neon pink and blue lighting tubes. Created from MDF, the walls the floor, ceiling and exterior were covered in branded and scenically painted eye catching graphics. 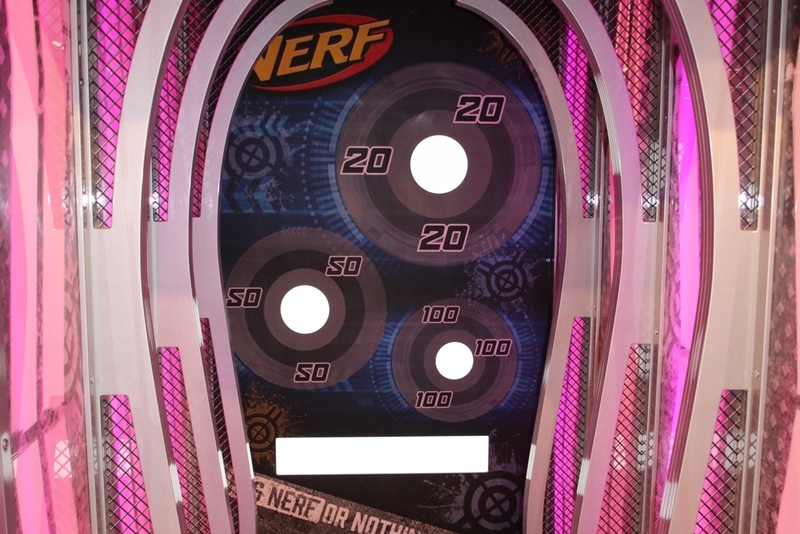 The entrance to the installation is framed by Nerf darts and the rear wall forms the target practise.